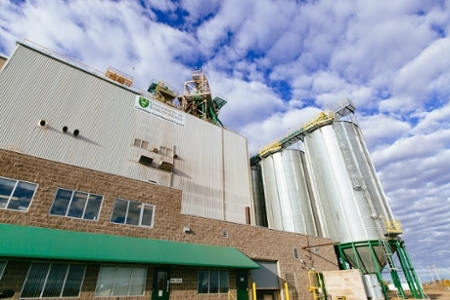 The CFRC is a research feedmill owned by the University of Saskatchewan, located in the city of North Battleford, Saskatchewan. 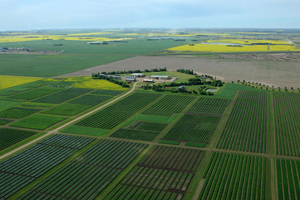 The Crop Development Centre (CDC) is a field crop research organization within the Department of Plant Sciences at the University of Saskatchewan. CDC scientists integrate basic research with genetic improvement of spring wheat, durum, canaryseed, barley, oat, flax, field pea, lentil, chickpea, fababean and dry bean. 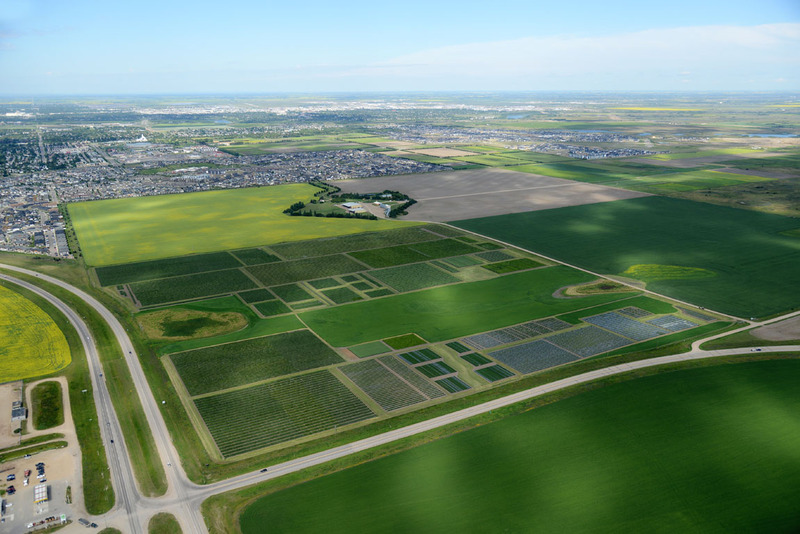 The Crop Science Field Facility is located on 48 ha (120 acres) of irrigated land dedicated to the production, processing and evaluation of field crops. Located on site is a field facility that houses the technical staff of the various research programs. In addition, the facillity is home to seed treatment and seed handling areas. An expansion to the building in 2005 resulted in the addition of a 1330 square metre pulse research facility. 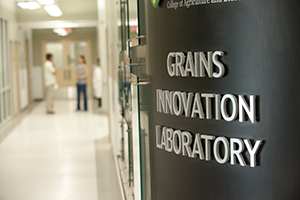 A second expansion to the building in 2009 now houses the 1,466 square metre Grains Innovation Laboratory (GIL), a faciltiy that houses quality research in field crops. The Feeds Innovation Institute (FII) is a research and development service dedicated to capturing economic opportunities in the domestic feed value chain. FII delivers industry acumen, research and development capability, proactive solutions, organization development, an extensive resource and a knowledge base to capture economic opportunities in an increasingly sophisticated and demanding animal feedstuffs world market. The Fraser Herbarium serves both a teaching and research function and is available as a resource to individuals outside the university. The Herbarium contains about 150,000 dried specimens and is one of the larger herbaria of vascular plants in western Canada. 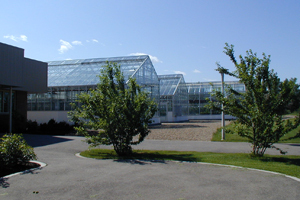 The Agriculture greenhouses are located north of the Canadian Light Source (CLS) at 45 Innovation Blvd. The greenhouses are a state-of-the-art facility consisting of 13 glass greenhouses and one poly greenhouse with a total growing area of 1,860 square metres. Each greenhouse can be programmed to specific temperature, humidity and lighting requirements. The horticulture field faciltiy is located on 27.5 ha (68 acres) of land that is dedicated to the production, processing and evaluation of horticulture crops. 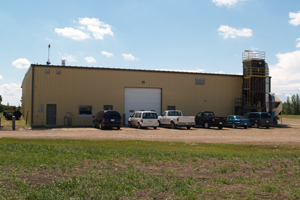 Located on the site is a headerhouse complex with cold storage and product handling facilities, machine shop and storage facility. The field production area is equipped with drip and travelling irrigation systems for dryland production research. 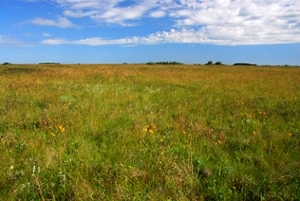 The Indigenous Land Management Institute (ILMI) at the University of Saskatchewan brings research, teaching, outreach and engagement activities in the area of Indigenous land and resource management together under one umbrella unit. 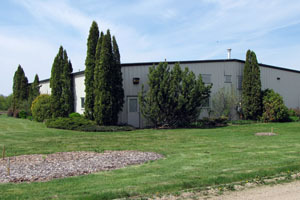 One of the of the most modern meat processingresearch facilities housed at a Canadian university. 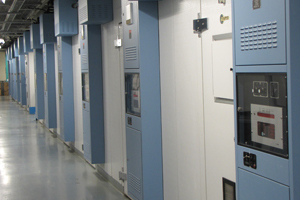 The wide array of equipment offers flexibility for research and product development. A number of new meat products have been launched, ranging from Muskox jerky to a variety of smoked sausages. One most prized accomplishments was the development of the Mitchell’s Gourmet Meat product line, which won the Grand Prix Award from the Canadian Council of Grocery Distributors. 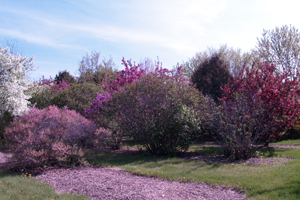 Established in 1966, Patterson Garden Arboretum was one of the original seven sites set up as part of the Prairie Regional Trials for Woody Ornamentals. Patterson Garden Arboretum is one of the last test sites remaining. The University of Saskatchewan test site was formally dedicated to Dr. Cecil Patterson in 1969. Dr. Patterson was the head of the Department of Horticulture Science at the University of Saskatchewan from 1922 to 1960. 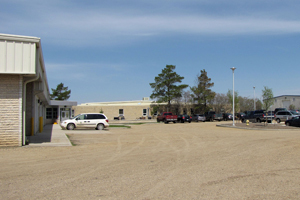 Located on the University of Saskatchewan campus, the Poultry Research and Teaching Unit houses a commercial layer flock, broiler unit, turkey unit, plus a small hatchery. The Poultry Research and Teaching Unit consists of three buildings: the brooding and rearing barn, the adult barn, and the hatchery. 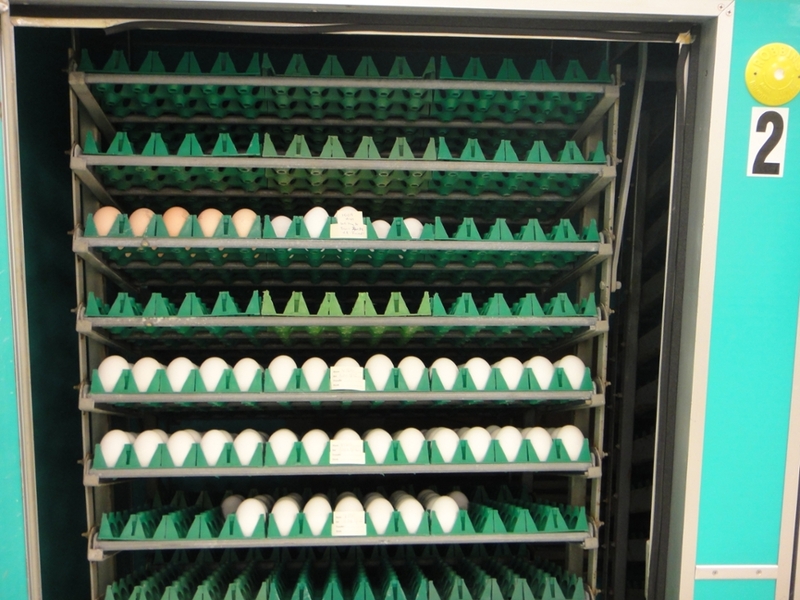 A total of ~3000m2 of space are available for nearly 43,000 birds each year to support research in poultry nutrition, management and welfare. 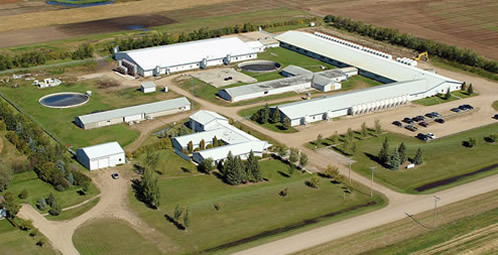 Prairie Swine Centre (PSC) is a 300-sow farrow-to-finish swine research facility located just outside of Saskatoon, Saskatchewan. In addition to the standard production facilities, there is a surgery suite, metabolism crates, two environmental chambers on-site and a separate disease challenge facility located about 40 minutes from the city. Research programs, specializing in animal behaviour and welfare, nutrition and agricultural engineering, focus on the applied aspects of issues facing the swine industry. The PSC’s technology transfer program focuses on distributing the scientists’ latest research results, ensuring strong engagement within the pork industry. PSC also offers a contract research program that specializes in proprietary research for companies seeking scientifically-sound data for product registration or marketing for their nutritional, animal health, behavioural and environmentally focused products (this program can also assist with human-health product research using the pig as a model). The Rayner Dairy Research and Teaching Facility, located on campus, accommodates approximately 100 lactating cows with both robotic, parlor and tiestall milking capabilities, animal handling and teaching areas, and research and staff space. A viewing gallery accommodates public access and education on modern dairy agriculture production systems. Research performed in the facility includes dairy nutrition and feed development, animal fertility and health, animal management, technology development, application of information technologies, and development of green technologies for improved sustainability. The Social Sciences Research Laboratories (SSRL) is a premiere research facility that supports faculty, staff and students doing cutting-edge research in the social sciences. 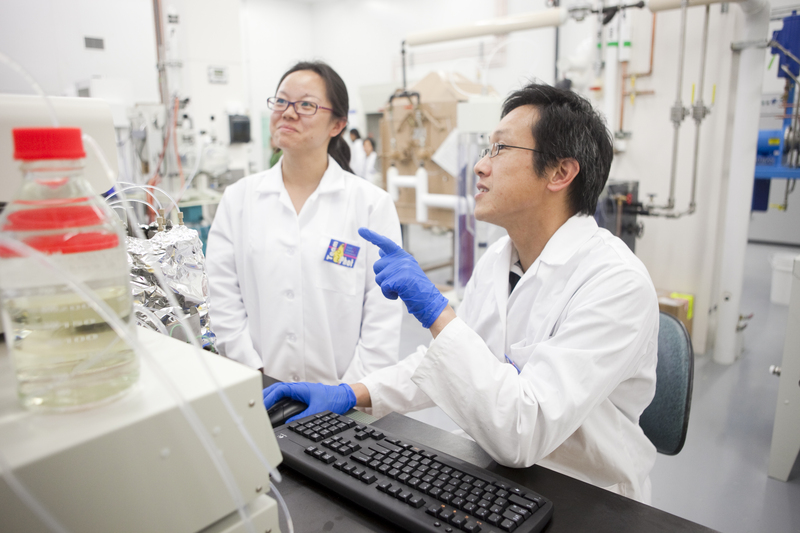 This unique facility provides access to innovative, state-of-the-art research infrastructure and research supports that are unparalleled in Canada. The SSRL has three interrelated objectives: 1) to provide researchers access to shared research infrastructure and technical and administrative support; 2) to enable hands-on research training opportunities for undergraduate and graduate students in the social sciences; 3) to enable and support investigator-driven and community-engaged research.